WorldTravelService® offers full service and VIP travel solutions to corporate and leisure travelers alike in Montgomery County. 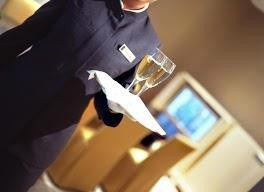 Whether you’re booking a trip for your boss, high end clients, or yourself, WorldTravelService® is here to provide the extra level of service you demand for your traveling VIPs. We happily strive to accommodate the unique needs of our elite clients in Montgomery County. Looking for a corporate travel agency near Montgomery County? Our Rockville travel agency and Washington, D.C. travel agency are only a short distance away. Want to book a cruise or other leisure travel trip from Montgomery County? Our agents in our nearby Reston travel agency are ready to help. When a private flight is required, WorldTravelService® can make the necessary arrangements. 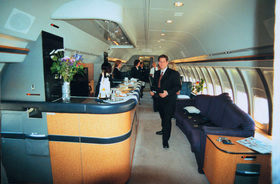 We also have access to first-class flying experiences through Virtuoso’s exclusive air program. Our partnership gives us access to a nearly unlimited range of route options, amenities, and other perks that consumers and unaffiliated agencies are not afforded and will impress even the most VIP of travelers. Even international VIP travel is no problem for our agents. We have over 20 years of experience with international travel, and have worked with everyone from executive VIP travelers to large government groups. As our VIP travel client, you will be escorted to your destination and back again by a network of highly experienced travel agents and technological systems that track and manage every detail of your itinerary. You will never be lost, stuck, overcharged, or unable to get immediate assistance while you are in our care. With connections to car service providers around the world, we can arrange private transportation tailored to your specific needs at your destination. And while you or your VIP guests are traveling in their destination, we can also coordinate additional safety and security measures to be in place whenever necessary. Please contact your agent regarding any special VIP travel services you require. If you aren’t sure who you need to speak to, contact us or call 800-724-9701. Additional fees apply for specialized services. Learn more about WorldTravelService® corporate travel management services for all of your everyday business travel needs in Montgomery County.